Attorney Nelson Torre is dedicated to providing his clients with experienced and effective legal representation. The personal attention devoted to each case is very important in achieving favorable results for clients. Attorney Nelson Torre has represented hundreds of satisfied clients and continues to do so, one case at a time. The Law Office of Nelson Torre is focused on representing victims injured by the negligence of others, and in providing legal defense of criminal charges. 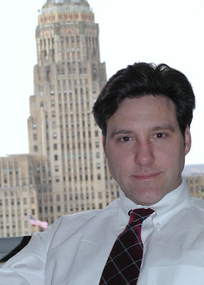 The law office is located in downtown Buffalo, New York, close to all state and federal courts. The law office handles all car, truck, and motorcycle accidents, construction accidents, bodily injuries to children, falls, burns, hunting accidents, medical malpractice, and all other injuries caused by accidents and negligence. The legal experience and resources necessary to investigate and effectively represent victims of negligence are very important to achieving favorable settlements and successful outcomes. Attorney Nelson Torre served four years as an Assistant District Attorney in New York City trying and proving cases. For the past 10 years he has provided an equally forceful and experienced defense for clients in criminal cases which is fundamental to a just result. The trial experience and courtroom technique of Attorney Nelson Torre are highly effective in proving a negligence case or in providing a successful defense of criminal charges. Please contact our Buffalo law firm with questions about your legal issue. Provide as much information as possible regarding your inquiry. While this contact does not serve to establish an attorney/client relationship, it will allow our legal team to begin an assessment of your case. Protect your rights! Proteja sus Derechos! Yo Hablo Español.